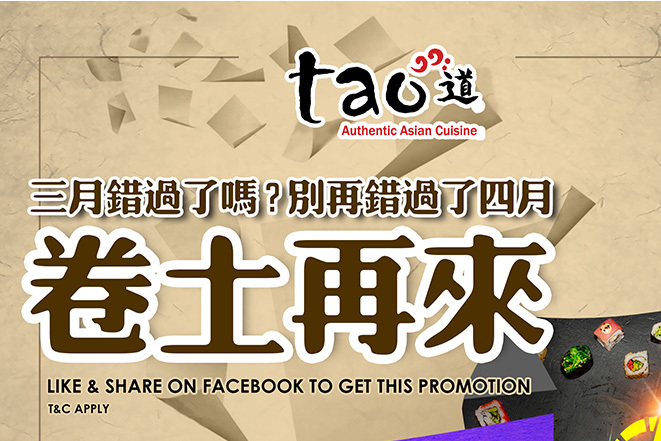 TAO AUTHENTIC ASIAN CUISINE the Upscale restaurant that offer ALL- U- CAN- EAT buffet with full table service, focusing on quality rather than on price. The restaurant includes specialties such as Japanese, Chinese, Thailand, and other foreign or ethnic food. Tao restaurant with 300pax sitting capacity is catering for special occasions such as birthday, Family gathering, anniversaries, banquets, special event, receptions and meetings.